Within SharePoint 2013 you have the ability to create an Asset Library. 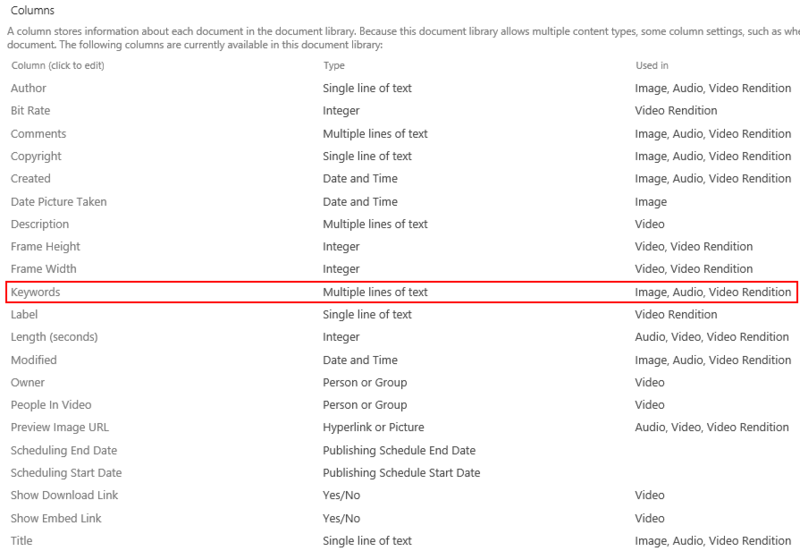 This is a special type of SharePoint library, which is optimised for the storing of image, audio, or video files. If you’re not familiar with this type of library take a look at this TechNet article. One of the nice features of the Asset Library is the keywords column. This enables you to assign metadata in the form of keywords, which can help with the discovery of library items using search. For example, an image of an car could have the keywords transport or vehicle assigned to it. Then, if a user searched for car, transport, or vehicle they would find the image. I’m going to show the configuration required to enable searching for items using keywords. Firstly, open the Asset Library settings and check the name of the keywords column. 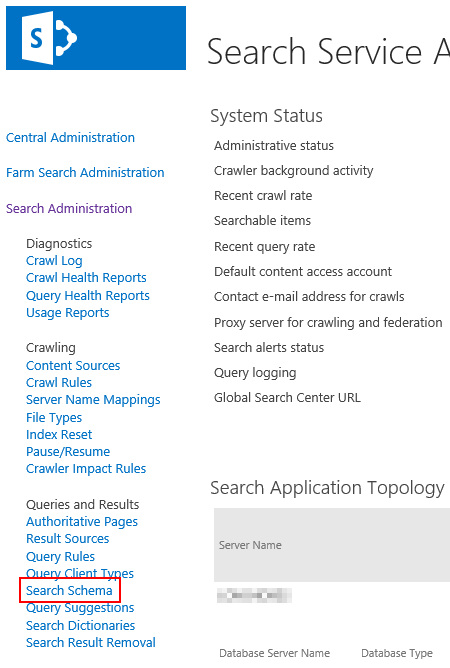 Next, navigate to Central Administration and open the Search Service Application from Application Management > Manage service applications. Open the Search Schema. Click on Crawled Properties and enter keywords, then click the green arrow to search. 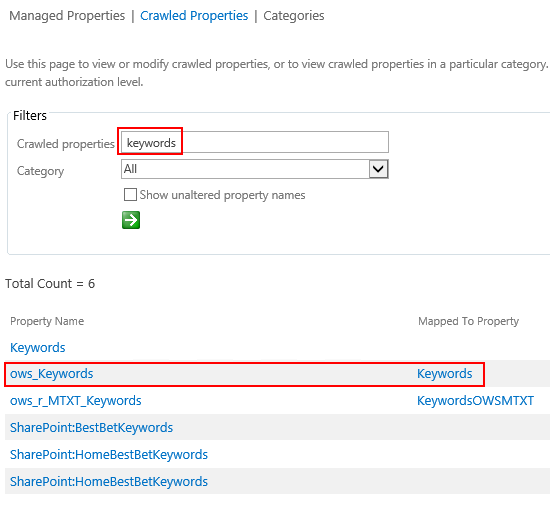 Click on the managed property called Keywords. On the page that loads, tick the Searchable box and click Ok to save the changes. Now, re-index the Asset Library, open the library settings, then Advanced settings. Once the crawl has completed you’ll be able to search for images using keywords. This entry was posted in SharePoint and tagged SharePoint 2013, SharePoint Search on August 6, 2014 by richardstk. This is exactly what we want to do. But we cannot ‘tick the Searchable box to switch this functionality on. Any suggestions on what Site Features feature we may need to reactivate?